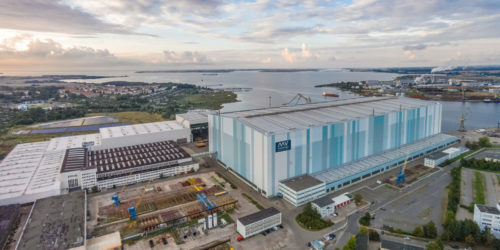 A good order book was the basis for STX France to purchase more welding automation for their shipyard’s panel welding. The shipyard has a good order book and a need for higher capacity and also better quality. They target for less rework after welding, since panels require a lot of fairing afterwards to get rid of deformations. That takes time and resources. A PEMA Laser-Hybrid Welding System together with integrated heavy duty milling process ensures minimized distortion for the deck panels. The purchased system is capable to feed their existing panel lines and that required also a special conveyor solution to be adapted. STX France is one of the top cruise ship and navy ship builders in the world. 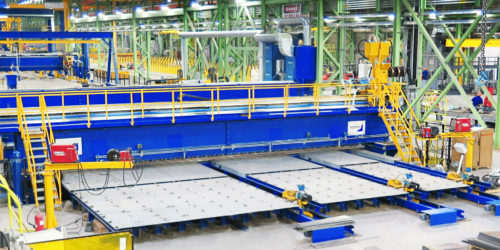 On a highly competitive market of shipbuilding, STX France needed to modernize their panel welding machinery and also have more efficient and productive equipment for the shipyard. They needed more capacity, better quality and faster performance assisted by new technology. 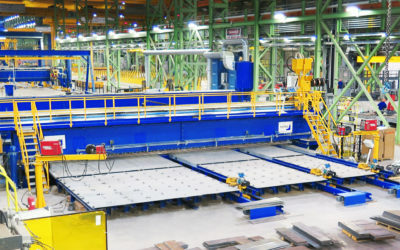 STX France decided to turn to Pemamek after a competitive offering round, and purchased PEMA Integrated One-sided Laser-Hybrid Welding and Milling Station with extensive conveyor solution for welding deck plates together. 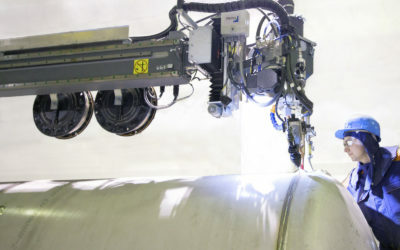 To secure fast and reliable delivery of the welding line, STX France included in their order also installation, training and commissioning of the complete solution. 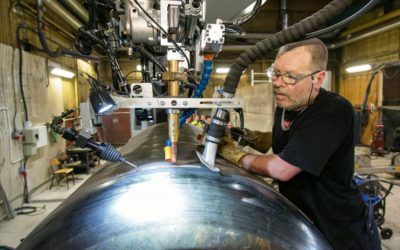 To improve productivity and quality, STX France is now able to reduce man hours by having less re-work like fairing, no double work needed. The quality of deck panels improves, that makes block manufacturing easier due to less deformation on panels. 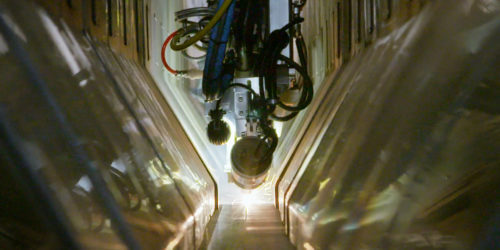 For us, this clearly puts PEMA in a special position, because PEMA’s heavy duty laser-hybrid welding solution and the milling station were a unique proof of their technology and enhanced with a great reputation on shipbuilding business.  STX France SA is a company dedicated to maritime building and services. It is owned at 66.6% by STX Europe and at 33.4% by the French state via a Strategic Investment Fund. 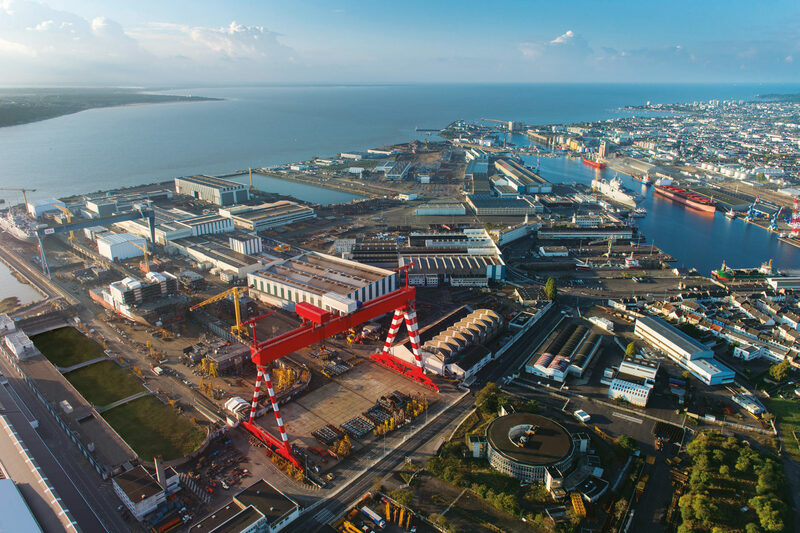 The shipyard is located at the mouth of the River Loire and it benefits from a privileged location on the Atlantic coast. With over 150 years in the field of shipbuilding, STX Frances relies on its technological and human assets to develop a diversification strategy towards related activities. STX France is an expert of large industrial project management. It employs 2,400 people, specialized in design, fabrication and erection, as well as in the commissioning of ships and marine equipment. 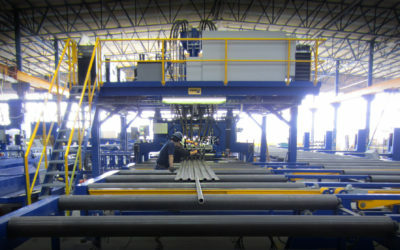 Profile and plate production, panel fabrication, open block panel lines, pipe and t-beam welding.